Looking for dry skin remedies? The answer to your dry skin problems is here in the Ocean Omega Dry Skin Cream! A rich moisturizing cream providing ‘instant’ relief to dry, itchy or sun-damaged skin, Ocean Omegas Dry Skin Cream helps keep your skin soft & smooth. The active ingredients, that do all the hard work, are the highest quality Omega 3 & 9 oils. This is a natural dry skin treatment for your skin. 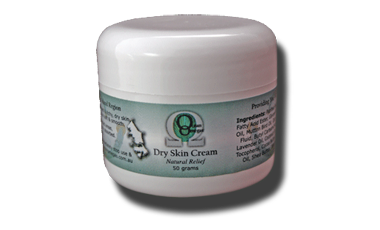 For more testimonials about this Dry Skin Cream, read more dry skin testimonials on the testimonial page. Ingredients: Purified Water, Caprylic-Capric Triglyceride, Polyoxethylated Fatty Acid Ester, Glyceryl Stearate, Glycerol, Sunflower Oil, Sweet Almond Oil, Mutton Bird Oil, Cetosteryl Alcohol HILB 8.9, Ceteareth 20, Silicone Fluid, Butyl Carbamic Acid, Lodopropynyl Ester, Glyceryl Monostearate, Lavender Oil, Coconut Oil, Olive Oil, Phenoxyethanol, Xanthan Gum, Alpha Tocopherol, Cocoa Butter, Aloe Vera, Avocado Oil, Calophyllum Oil, Apricot Oil, Shea Butter, Disodium Edta, Tea Tree Oil, Kunzea Oil, Fragrance.